It seems weather forecasts were a little out over the past week which made it a little harder than usual to plan trips. Conditions were unstable, patches of brilliant sunshine and flat seas mixed with rain periods and sloppy seas however we did get a few trips’ in, some in less than ideal conditions, and we were rewarded. Once again Murphy’s reef and the Barwon banks were the reefs’ that fired. These two areas have been fishing superbly for the past two months. 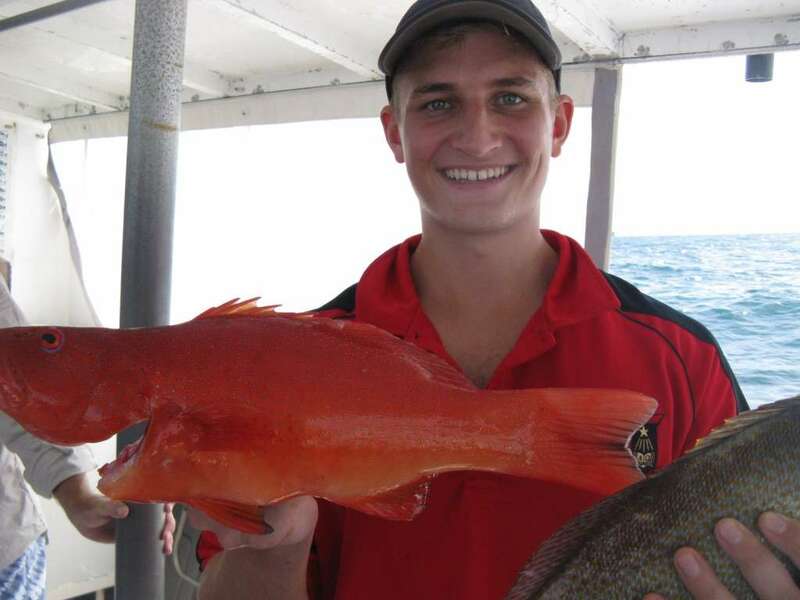 Some of the standout catches for the week were coral trout, pearl perch, snapper and sweetlip all of which are top table fish. 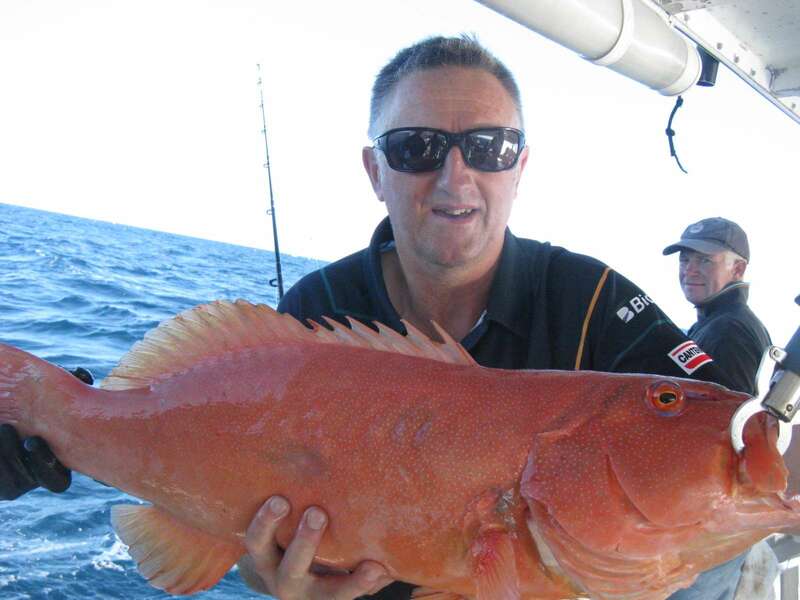 The 1/2 and ¾ day charters were spent on Murphy’s reef bottom dropping on the inside and outside edges and both sides of the reef produced quality fish. There were snapper to 4kg, coral trout to 6.5kg, sweetlip, tuskfish, school mackerel, hussar, some good size moses perch, gold spot estuary cod, morwong to 5kg, gold spot wrasse and the king fish are still hanging around in good numbers. 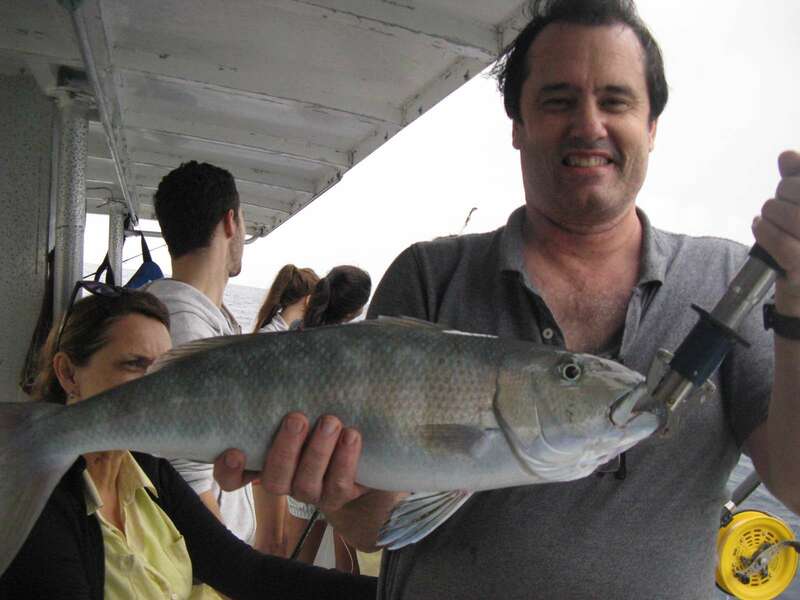 The pilchards and local squid did most of the damage with a few kingy’s and cod taking live yakka’s and small fusilier. Well done to the boys in the picture below boating some quality coral trout 5kg and 6.5kg. The banks are where we have been going for our full day charters and the deeper sections of the bottom end were targeted this week. 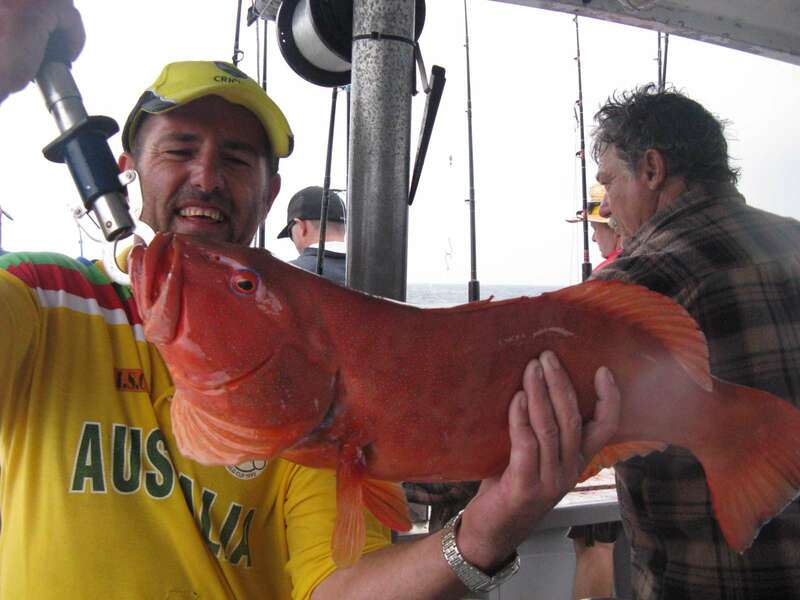 Species boated were amberjack, rosy jobfish, pearl perch, fusilier, big tea leaf trevally, snapper, tusk fish, gold spot wrasse, moses perch, kingfish and small mac tuna. It is good to see the snapper coming through and numbers will only increase over the next two months as the temperature starts to drop. All ready we are starting to get plenty around the 3-4kg mark so I think the snapper season is going to be a good one, I can’t wait! 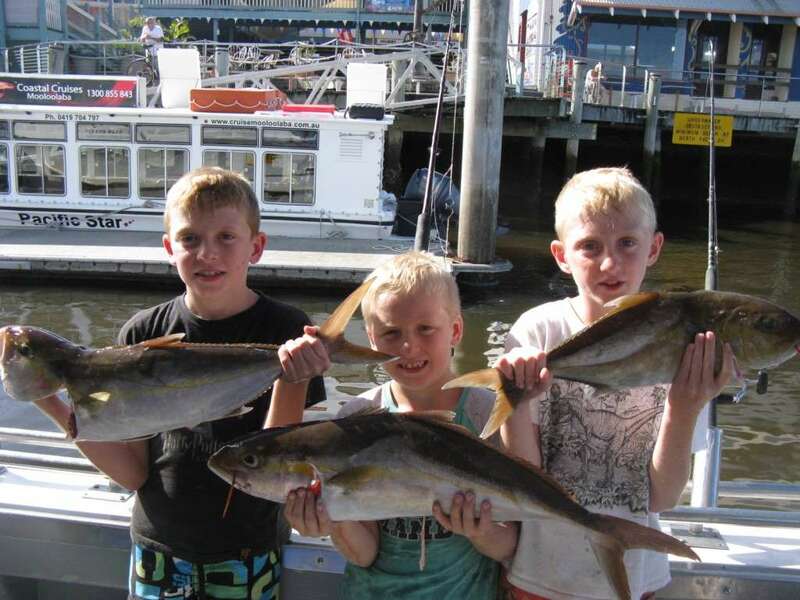 The picture below shows amberjack to 5kg which gave the boys’(and their dad) a good fight well done boys. 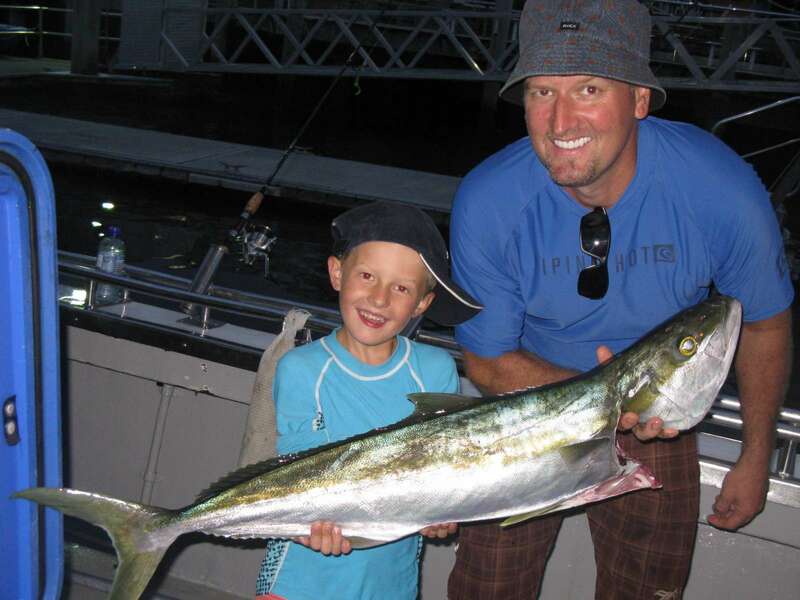 Hopefully the fishing keeps firing for the last week of the school holidays and there is still spots left on various charters so if you want to keep the kids occupied for a day and yourself head over to our contacts page and send us an email or give us a call. Until then happy hunting!!! !